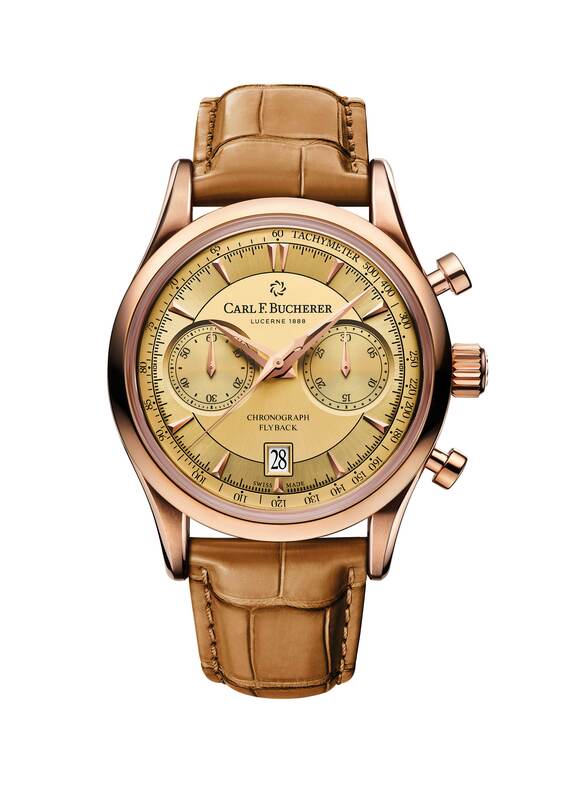 The Manero Flyback is a classic example of the Manero family, but as a typical Carl F. Bucherer timepiece, it has something distinctly unique to offer watch lovers: the sophisticated CFB 1970 chronograph movement with flyback function. The Manero Flyback is a classic example of the Manero family, but as a typical Carl F. Bucherer timepiece, it has something distinctly unique to offer watch lovers: the sophisticated CFB 1970 chronograph movement with flyback function. It enables the user to record consecutive times with the shortest possible interval between them. The chronograph hands fly back to zero, while the movement continues to run in the background – allowing the hands to resume as soon as the reset button is released. With conventional timepieces, it is necessary to press the buttons three times in order to measure successive time intervals: stop the chronograph, reset and re-measure. And the setting provided by this little masterpiece is likewise compelling: the case, finished either in rose gold or stainless steel, contains a dial with ten appliquéd indices. It comes with two subdials at 9 and 3 o’clock, as well as a date display at 6 o’clock. Together with a flange and tachymeter scale running round the dial, these two features give the Manero Flyback its vibrant and singular appearance.